Passover is in the air. The kinda light, kinda panic feeling arrives each year along with the blossoms and warmer temps. The sense that something good, something unifying, uplifting, and yes, even that something happy is about to take place, comes with Passover—even, and maybe especially, for those who host Seders—those are the people who also experience the panic. For weeks now, the new Haggadot that have been appearing in my mail—both traditional and digital—are additional clear signs that the holiday is approaching. The Passover sections that are up in the markets, the new recipes being shared, and the plans to kasher homes are still more indications that yes, it’s almost time for the most observed of Jewish holidays. In a new twist on the once very traditional Jewish festival, an array of ‘matzah clothing’ is now available. Bibs, dog bandanas, socks, dresses, and t-shirts can be found on sites such as Etsy and Amazon. One of my favorites is a reversible kippah…bagels on one side and matzah on the other. Who knew the holiday about the Exodus would inspire such merchandising opportunities? What would my grandfather think? At United Jewish Federation of Tidewater, we really know it is time for Passover when someone from Chabad, this year, Rabbi Levi Brashevitsy, delivers a gift of a box of handmade Shmurah Matzah. The round, usually burnt matzah doesn’t taste like much, but it certainly adds a dimension of authenticity to the Seder. My family always loves it. 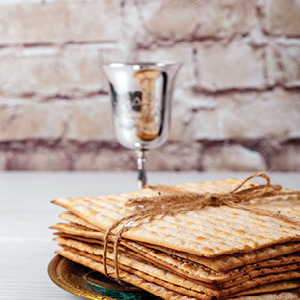 No matter your approach to Passover, all of us at Jewish News hope that it is mostly on the light, peaceful side…and that any panic is over by the time you sit down for the first night’s Seder on Friday, April 19. Growing up, my family used either a Haggadah from Maxwell House or one published by Barton’s Candy. It wasn’t until I was a young adult did I realize that other options even existed. In recent years, at the Jewish Museum in Paris and the Israel Museum in Jerusalem, I’ve seen Haggadot dating to the 14th century and earlier…reminding me that yes, there were Haggadot before Maxwell House arrived on the scene. Today, the options for selecting a Haggadah feel nearly endless, ranging from the most traditional and ornate to the silly. Plus, they are available at every possible price point. Enter once again, Maxwell House, which is offering a ‘Marvelous Mrs. Maisel’ Haggadah this year. The coffee company’s pink limited-edition version of its Haggadah features illustrations and other shtick based on the wildly successful Amazon show about an aspiring Jewish comedian and her family of Jewish relatives in late 1950s New York City. The “Maisel” Haggadah is a throwback to the earlier edition of the Haggadah that the company has offered as a holiday giveaway since 1932. Illustrations of Midge Maisel and other characters are scattered throughout, which also has handwritten notations by Rachel Brosnahan’s character, as well as faux wine stains. The limited-run Haggadot are available to those who order Maxwell House coffee via, where else, but Amazon.com. Also, via Amazon, Dave Cowen sent me his two latest Haggadahs. 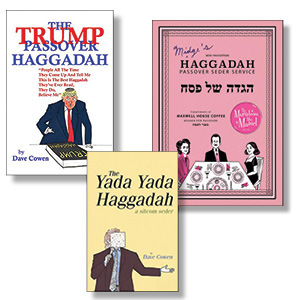 Last year’s The Trump Passover Haggadah and this season’s Yada Yada Haggadah. Written as a parody of the Seinfeld television show, the Yada Yada Haggadah, is mainly ridiculous—though with enough of the blessings, it could be an option—especially for a Jerry, Elaine, Kramer, and George adoring crowd who don’t want to take the evening too seriously. I guess when it comes to Haggadot, at least to date, there’s no dayenu! Join Rabbi Israel Zoberman and seniors of all faiths for a Seder and traditional Passover meal at the Simon Family JCC’s Annual Senior Seder. Open to the entire senior community, sing and learn about this important Jewish holiday with opportunities for participation. Generous funding provided for the Senior Seder through the Joseph Fleishmann Memorial Fund of the Tidewater Jewish Foundation. Lunch and Seder is $10. Registration is required by April 11. It can be done at the Simon Family JCC front desk, by calling 321-2338, or at JewishVA.org/Seniors. For more information on this event and other Seniors programs, contact Sheryl Luebke Simon Family JCC Seniors program coordinator, at 321-2334 or slubeke@ujft.org. (Kveller via JTA)—Yes, I’m Jewish. And I love it. But I also have some serious Easter candy envy. I still remember one glorious Passover seder as a kid, when as a prize for finding the afikomen, my grandfather gave my sister, my cousins and me a Cadbury Creme Egg. In my childhood mind, this was infinitely cooler than the silver dollars he usually gave us. The years (um, make that decades…) ticked by. My love of candy continued unabated. Meanwhile, I grew up and started hosting Passover seders of my own. Scarfing down Easter candy and having a seder happened every spring, without fail. But they happened independently of one another. Enter the amazing internet phenomenon of the Peeps Skillet S’mores, circa 2016. I somehow found it online, and my sister—once a member of a Peeps fan club—had the brilliant idea to serve it for the seder. Passover dessert has never been the same. For the uninitiated, Peeps Skillet S’mores are pretty much exactly what they sound like: They are the sticky, sweet goodness everyone loves about s’mores, but cooked and served in an indoor-friendly skillet. 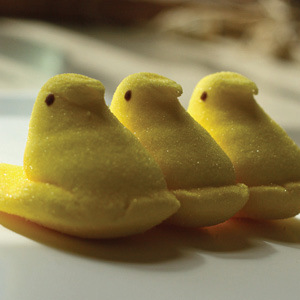 And instead of boring old marshmallows, the melty mess of chocolate is topped with those pretty, pastel-colored Peeps. I’ll pause to acknowledge here that, yes, Peeps aren’t kosher for Passover. (In fact, they’re not kosher at all.) But for a not particularly observant family like mine—and one in which a majority of us have sweet teeth—serving the Peeps Skillet S’mores at our Passover seder has made at least some of our dreams come true. Unlike complicated Passover desserts like flourless cakes, the Peeps S’mores Skillet couldn’t be easier to make: You basically heat some whipping cream and pour it in a skillet. Add chocolate and decorate with Peeps. Stick the whole pan in a hot oven and, within minutes, you’ve got yourself some toasty spring sweetness. These Skillet S’mores are designed for dipping: You’re supposed to dip graham crackers into the skillet. But—c’mon, people!—it’s Passover. Serving graham crackers at a seder would be insanely inappropriate. So instead we use matzah. The bland crunchiness of the bread of affliction is the perfect compliment to the super-sweet, sticky, literal “hot mess” that is the Peeps S’mores Skillet. Try it—you’ll like it. Chag sameach and Happy Peepster! (My Jewish Learning via JTA)—Keeping kosher for Passover means abstaining from hametz, the fermented products of five principal grains: wheat, rye, spelt, barley, and oats. 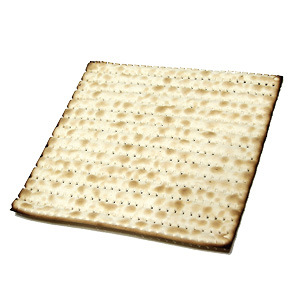 Though matzah, the unleavened bread eaten on Passover, is made from grain, it is produced under highly controlled conditions to ensure that it does not ferment. Ashkenazi Jews who keep kosher for Passover have also traditionally avoided eating kitniyot, a category of foods that includes corn, rice, beans, and lentils, though the Conservative movement’s rabbinic authorities overturned the kitniyot prohibition in 2015. Sephardic Jews do not abstain from kitniyot. A minority of Jews add an additional stringency by avoiding “gebrochts”—unleavened matzah products that become wet, such as matzah balls or matzah meal. Among observant Jews, it is common practice to avoid most processed food that is not explicitly labeled kosher for Passover. This is true even for products like cheese or juice that do not contain any hametz, but may have been processed in a plant alongside products containing hametz. Some products that are kosher year-round are modified slightly to be kosher for Passover—most famously Coca-Cola, which substitutes cane sugar for corn syrup in some regions over the holiday and is marked by a distinctive yellow cap. A guide to kosher-for-Passover foods is published each year by the Orthodox Union, which also maintains a searchable database of Passover foods on its website. The O.U. also has information on food products that can be used without explicit Passover certification. There are a range of additional practices common to Jews who keep kosher for Passover. Chief among them is ridding the home of any hametz products. This is typically done in the days leading up to Passover when homes are cleaned of all hametz. For hametz products that are too valuable or difficult to discard, it is also possible to sell the hametz to a non-Jew. Generally, a rabbi performs this service on behalf of his congregants and then repurchases the hametz for them when the holiday concludes. In these cases, the seller rarely delivers the food to the purchaser, but instead packs it away. Making a kitchen kosher for Passover is an elaborate process. Countertop surfaces and sinks are either kashered (made kosher) with boiling water or covered for the duration of the holiday, depending on the material. Metal pots and utensils can usually be kashered with boiling water, and various appliances have their own requirements. The O.U. has a guide to kitchen preparation. Given the difficulties involved, many observant Jews maintain separate Passover cookware, dishes, and utensils that are used only during the holiday. Many Jews who do not follow all these restrictions nonetheless make some dietary changes in honor of the holiday. Some people avoid eating hametz, but do not thoroughly purge their kitchens of it, while others cut out bread and pasta, yet continue to eat some traditionally forbidden items. In recent years, many affluent observant Jews have opted to avoid the rigors of cleaning their kitchen for Passover by going on special kosher-for-Passover cruises or to kosher-for-Passover resorts. The trend, while costly, not only makes the holiday easier to observe, but often provides a welcome opportunity for an extended family to get together without the burden of having to host and cook for large numbers of guests. 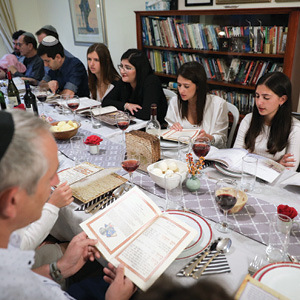 A family participates in the Passover seder. (Kveller via JTA)—No joke: I love hosting the Passover seder. I love feeding people—I’m both Jewish and Southern, so this is deeply engrained in me. I love educating people, and I love being Jewish, so the seder is a perfect opportunity to gather the ones I love for a meal—a meal during which they are actually open to me sharing all sorts of fun facts, songs, and stories. If it were up to me, I’d fill every shared meal with readings and inspired discussions. That’s not realistic, of course. But during a Passover seder, at least, people are much more game. So, I like to take full advantage of the opportunity and go above and beyond the typical readings and tunes that most people expect. Yes, I’m a mom—but my toddler and baby weren’t my primary motivation for adding some sass to our seder. (Although one of my all-time favorite seder moments was last year, when our swaddled newborn, placed in a basket, formed a particularly memorable tablescape.) For years I’ve been motivated to find new and different ways to invite my seder guests to see the joy in Judaism that I see every day. Everyone—kids and adults—loves to play, learn, and connect with one other. Passover is the perfect time for that. So here are a few of my seder hacks that I’d totally recommend if you’d like to ensure your festive meal is, in fact, festive. Having your guests concoct their own haroset is so much fun. On a side table in our dining room, I set up an array of diced fruits, nuts, and a selection of honeys, wines, and juices. I put out cheap, reusable plastic shot glasses so guests can make multiple variations to find their favorite. Sometimes, a few of the grown-ups make a concoction that much more closely resembles sangria than haroset, but hey, that’s part of the fun! I love doing this for several reasons. I can personalize the presentation and I can make changes up to the last minute. I’ll assign readings by writing a person’s name, add images of the people who are attending. I can even add photos from previous years’ seders, which is particularly fun since we have little kids who have grown a lot in the last year. It’s a multimedia presentation: We play this video about The Four Sons instead of reading that passage; we’ll sing along with the Maccabeats’ version of Dayenu. Plus, no one is ever on the wrong page, and everyone is looking up and around instead of down. Though we follow the Haggadah, we frequently pause to share parts of the story using picture books. It doesn’t seem to matter that there are usually more adults than kids at my seder, everyone welcomes the change of pace. We like to say the Four Questions all together, reading from this awesome picture book that’s both in English and Hebrew, and we read The Longest Night to help us imagine the experiences of the enslaved people. We also have several copies of the Dayenu board book (thanks PJ Library! ), so we have multiple people holding onto it as we sing it in English (just before we watch the video mentioned above). I love schtick. But what I don’t love are some of the more popular ways to work it into the seder. (Take those Ten Plagues finger puppets—the plagues weren’t cute, so let’s drop those, OK?) There are myriad other ways for putting some pep into the seder. For example, we like to put the kids in laundry baskets—we give them a ride around the table when we talk about baby Moses in a basket—we do it while singing Little Taste of Torah. Trust me, with a little creativity, and not a ton of work, you can have a lot of fun at your Passover seder. I hope your seder is meaningful, memorable and enjoyable. Chag Sameach! Emily Aronoff Teck is a multi-tasking mom, musician, and educator. “Miss” Emily visits Jewish communities to share celebrations and songs with young children and their grown-ups, and manages JewishLearningMatters.com. She earned her doctorate in education in 2018 at Gratz College. (My Jewish Learning via JTA)—With thousands of published Haggadahs available for purchase, choosing the one that is best for your seder can be overwhelming. For an overview of the many possibilities, we recommend How Is This Haggadah Different? Remember, you’ll need a copy of the Haggadah for each guest (or every two guests, if people are comfortable sharing). Unless you plan to buy one copy and then do some extensive photocopying (which, we should note, is illegal for copyrighted publications), you’ll have to multiply the book’s price by the number of guests. There are also many free downloadable PDF versions online, and you can also choose to make your own. If your guests are expecting the traditional seder, complete with Hebrew, they might be uncomfortable with an abridged Haggadah, an LGBTQ Haggadah, or one that emphasizes contemporary examples of oppression and slavery. On the other hand, if many are first-time seder-goers or lack the patience for a really long seder, something like The 30-Minute Seder or a book that relates the Exodus to modern social issues might be just the thing. Since children generally don’t like sitting still at the table for long, we recommend an abbreviated or child-oriented Haggadah. There are many great children’s and “family” Haggadahs that engage adults as well as kids. Be sure to check out Kveller’s list for the best Hagaddahs for kids at kveller.com. For the older kids, think about acting out skits from the seder. The first two days of Passover are yom tov, days when, as on Shabbat, traditional Jewish observance forbids activities like writing and using electronics. If this is not an issue for you, however, a number of Haggadahs are now available as e-books and apps, usually at lower prices than printed versions. (With the added advantage that you will not need to find a place to store them after the seder.) While many are just digital versions of printed Haggadahs, others incorporate multimedia features. 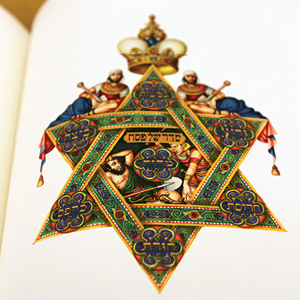 Haggadahs come in an array of designs and styles, with art ranging from contemporary to ancient. The downside of a gorgeous tome, however, is that there’s a good chance one of your guests will spill wine all over it. That can happen with any Haggadah, but you probably won’t mind so much if it’s inexpensive or more about function than aesthetic.